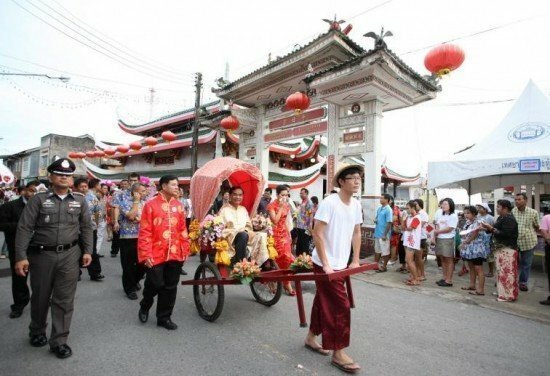 Kathu Town Municipality is holding an event named “Kathu Culture Street,” an annual event which is aimed at preserving culture and educating the younger generation about local traditional culture and also expanding knowledge to others who have an interest, both Thai and foreign. Furthermore, it is hoped the event will stimulate tourism for the municipality. There will be performances including Chinese opera, acrobatics, local costumes, and more throughout the night. Visitors can enjoy a procession of vintage cars, folk games, local food, OTOP products, mining models, a retro pharmacy mock-up. Exhibitions such as tin mine houses, retro post office, contemporary art, movies from the past, and many more will also be on display in the arena.